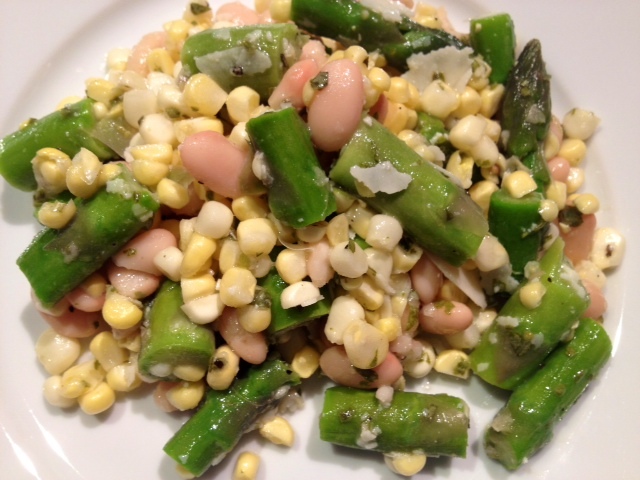 Crunchy Corn & Asparagus Salad. 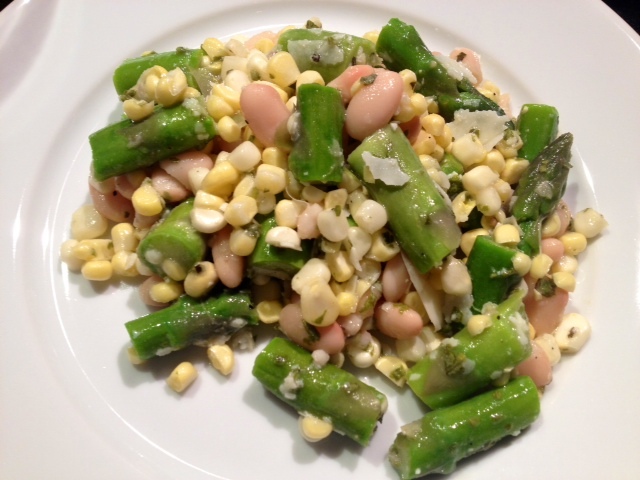 The sweet corn, crunchy asparagus and creamy cannellini beans in this salad are a great mixture of flavors and textures. The lemon and basil help to brighten up the dish and bring it all together. This salad is really versatile and is hearty enough to eat on its own as a meal but it also makes great side dish with chicken, fish or beef. Yum! In the food processor, add the basil, lemon juice and olive oil and blend until the basil is finely chopped. Put the dressing aside in a small bowl while you prepare the veggies. Boil ~4 cups of water on the stove and add in the diced asparagus and cook for 3 minutes. 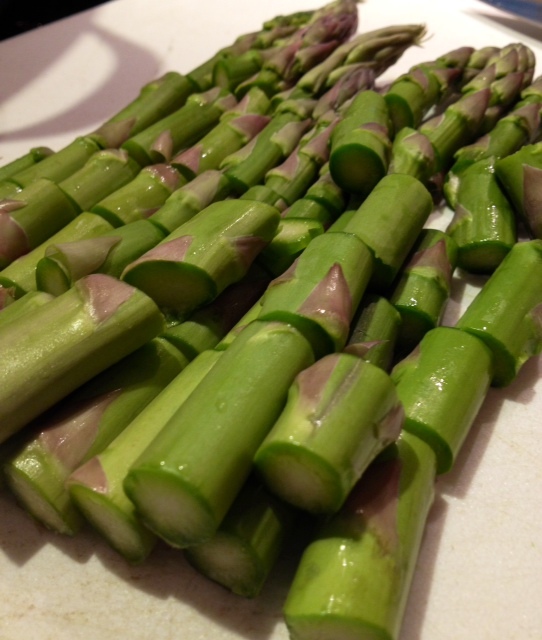 Drain the excess water and rinse the asparagus with cold water and put it into the fridge to stop the cooking (keep in the fridge for about 10 minutes.) 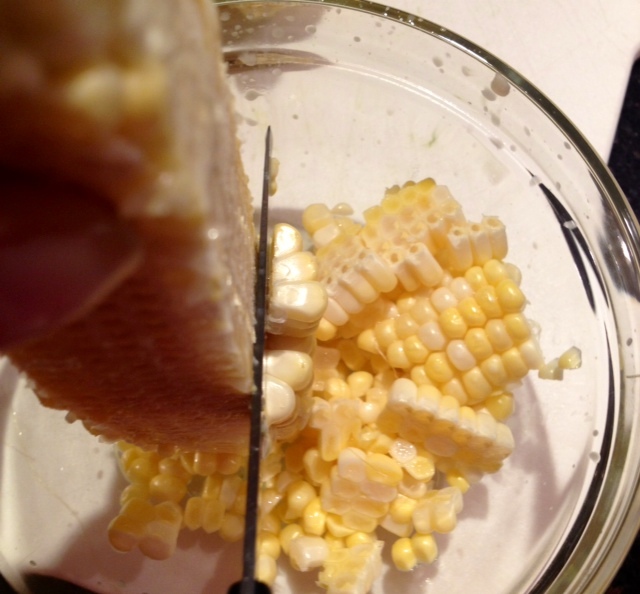 While the asparagus is cooling to room temperature, cut the corn off of the cob (raw) and add it into a large mixing bowl. 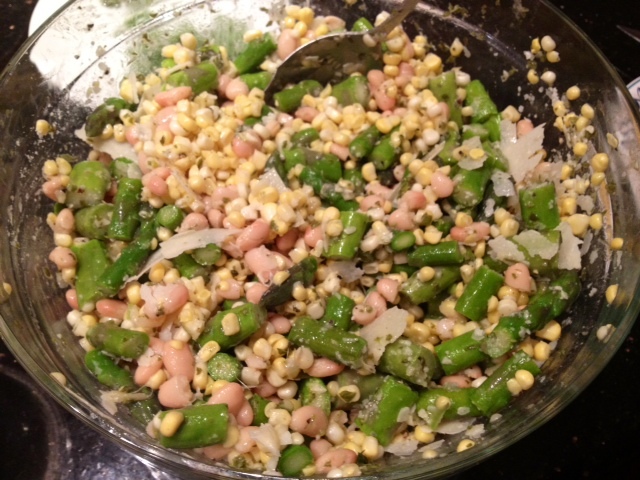 In the mixing bowl with the corn, add in the cannellini beans, asparagus and shaved Parmesan. Pour in the dressing along with a generous dash of garlic salt and black pepper, and toss to combine. ← The Birthday Boy’s Dinner.